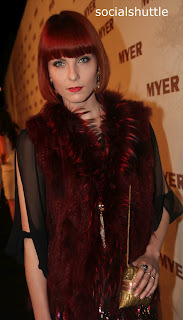 MEET GORGEOUS actress/model Kasia Stelmach who attended the Myer fashion show last Thursday. The Shuttle's spy disguised as a potted Aspidistra on the 3D set of The Great Gatsby at Fox Studios tells us Kasia stars in the flick. 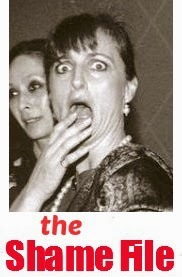 The rumour is that she plays the exotic movie star Greta Garbo although mysteriously she is listed as 'Geraldine Peacock-Prada Woman' Prada Woman ?. Did they have Prada in the twenties?. *Talk filtering out the set of Baz Luhrman's fabulous production says the movie's $120M plus budget has been exhausted recreating New York and the Hamptons and Warner Bros have put their foot down, refusing to fund Baz who wants to re-film some scenes with Leo DiCaprio and Tobey McGuire, hence the release date of the movie being pushed back to 2013. 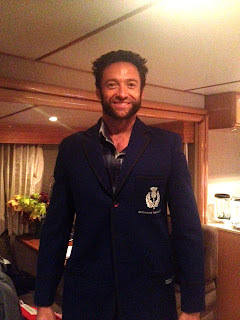 Wolverine AKA Hugh Jackman currently residing in Sydney while he films The Wolverine around town has sent us a pic of himself just fitting into his Knox Grammar (very posh) School blazer. 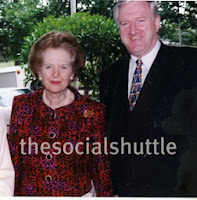 We've uncovered a school pic of Hugh in that very jacket. 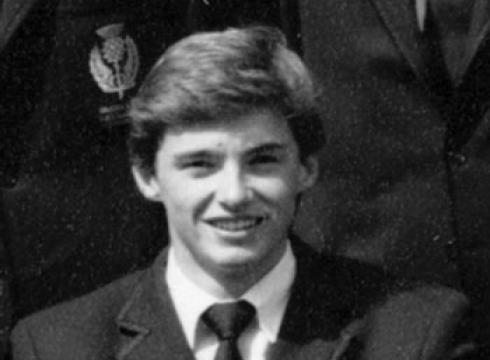 Wasn't he handsome even then !